I’m also using one of their fabric lines too. Joanna Figueroa’s fabric is traditional, yet modern. 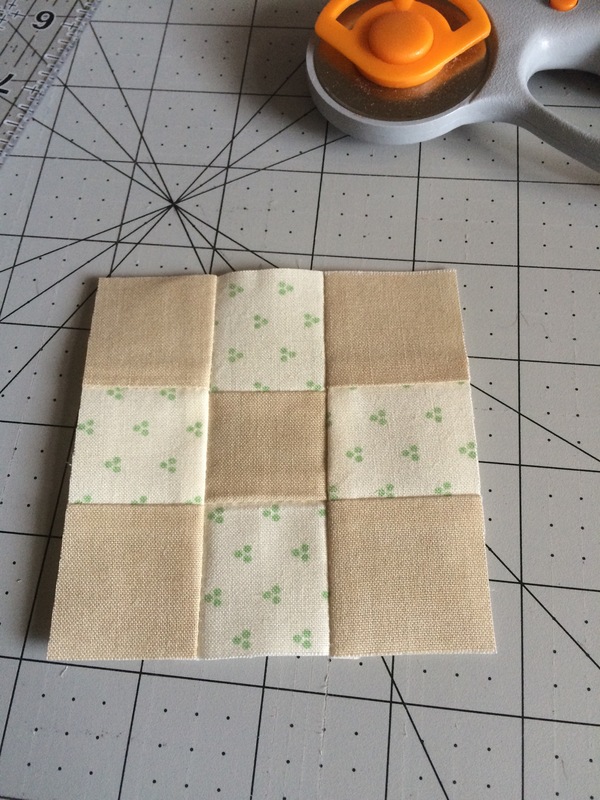 I like how quilters are taking old blocks and quilt patterns and reworking them to make them much easier. I remember being taught by my mom and grandmother to use sandpaper for a template and cutting out fabric with scissors. Yeah for rotary cutters! The block also uses a four patch. Joanna makes it easy to work with little pieces in her pattern. 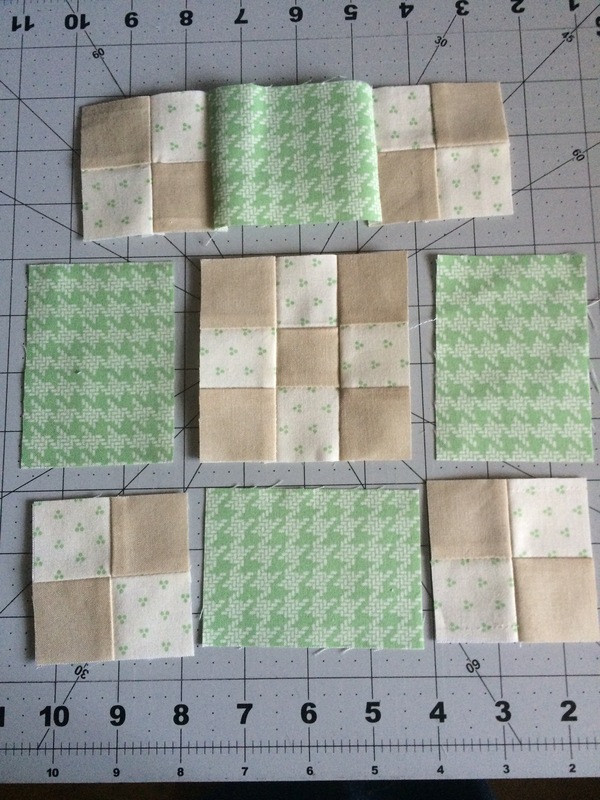 I got one block put together. I’m going to try to squeeze in another one before I going to work. 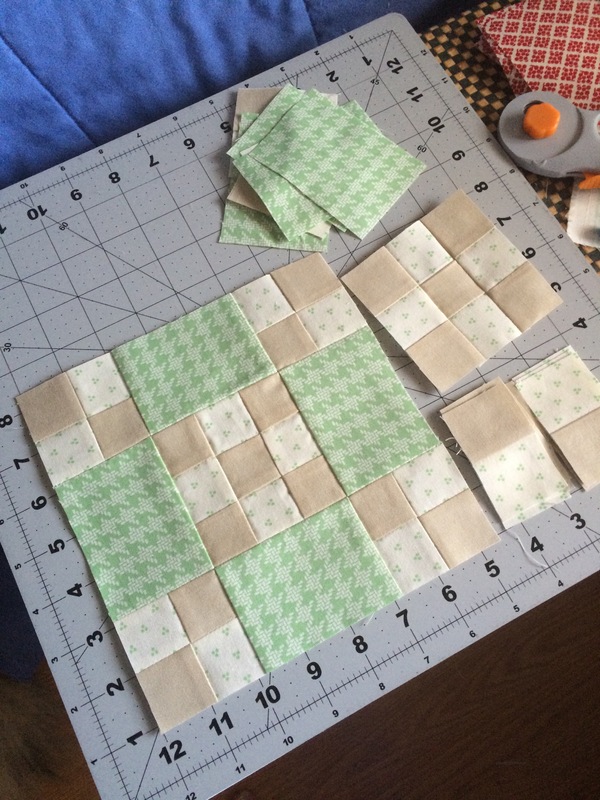 ← To quilt or not to quilt…. This is going to be such a pretty quilt. You are really on your way with your very reasonably priced new sewing machine!